We’re getting to the bottom of the mysterious car fire case by doing what the Mad Dog team does best: an elaborate caper. However, they’ll need Min-joon’s help to pull off this job regardless of his trustworthiness if they want to know for sure whether it was really suicide, or if something more menacing is afoot. At the orphanage, suave conman Min-joon finds the photo of his brother standing alongside Mad Dog’s new client Kang Eun-joo and former Taeyang broker Ms. Lee, the woman responsible for Min-joon’s brother’s insurance policy and the policies of murderer Go Jin-chul’s earlier victims. Not long afterward, Mad Dog leader Kang-woo arrives and spots the same photo. His eyes flare as he recognizes Ms. Lee. He inquires about the photo with an orphanage worker, who says that Min-joon also asked about the picture earlier, and that the woman Min-joon asked about hasn’t been back since it was taken two years ago. Kang-woo asks if Min-joon was looking for Kang Eun-joo, but the orphanage worker says he was looking for Ms. Lee instead, and Kang-woo wonders why Min-joon is trying to find a dead person. Back in his lair, Min-joon remembers his last encounter with his brother, and we see Ms. Lee meeting with the brother right before Min-joon arrives. Min-joon handed over his watch and coldly walked away, refusing to acknowledge his relation to his own brother. When he stops reminiscing, Min-joon reveals a hidden panel with a timeline detailing the pasts of the three members of the orphanage photo and starts to draw connections between them. Kang-woo heads back home, but as he enters, he hears a hallucination of his wife and son calling for him, temporarily distracting him. He digs out a box of files on his investigation into the plane crash and notices that the date the copilot received his insurance policy was the same day as the photo from the orphanage. He brings this info back to the Mad Dog office, and they notice that Kang Eun-joo’s husband, Lee Soo-oh, also got insurance from Ms. Lee that day. Meanwhile, Min-joon looks after Kang Eun-joo in the hospital, and urges her to wake up so that they can help each other as promised. Nurse Oh suddenly inquires about Min-joon’s relation to the patient, and kicks him out when she catches him lying that the patient is his sister. But as he leaves, he asks how Nurse Oh knew that the patient had no brother, and guesses that Mad Dog’s aspiring nurse, Sung-joon, must have told her. Min-joon hints that he knows all about her connection to Sung-joon, and saunters out of the room pleased with himself. Out in the streets, Sung-joon joins fellow Mad Dog employee Ha-ri to track down CCTV footage of the night Kang Eun-joo was attacked. As they search, a man comes out to yell at them for parking in his spot. After the man gets his car parked, Ha-ri, now only wearing a revealing t-shirt, flirts with him to get his black box footage. The footage shows Lee Soo-oh’s friend, Han Seong-jin, leaving the scene with Lee Soo-oh’s laptop. The Mad Dog crew begin their surveillance of Han Seong-jin, tracking him down to his pharmaceutical company, and Sung-joon takes a job as a cleaner to infiltrate the company. He gossips with the other cleaners to get more details about Han Seong-jin’s work, and finds out that his research started to take off right after Lee Soo-oh died. 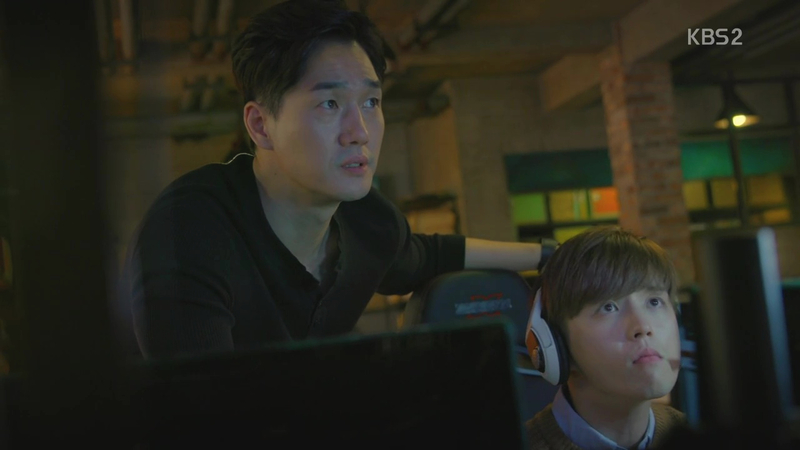 The team speculates that the laptop is the key to Han Seong-jin’s success, and realize that if they can prove the research matches the laptop’s contents, then the police would investigate the case again. The problem is, though, that the laptop will be hidden and under tight security, so they need a way to find it first. Kang-woo decides to call in Min-joon and use him to infiltrate the research team, but the rest of the Mad Dog team seems reluctant. 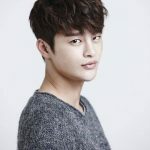 Kang-woo explains that by using Min-joon, they can wait patiently to see what Min-joon is up to while he is locked inside pretending to be a part of the company. When Min-joon arrives, hacker Noo-ri explains that Min-joon will take on the identity of Jonas Kim, a German researcher. Min-joon complains that someone else should do it, but when Ha-ri volunteers, Min-joon tells her that she would stand out too much. Ha-ri tries to coyly refute this, but Min-joon responds by questioning whether Ha-ri is flirting with him, and everyone except Kang-woo jumps up to hit him for the remark. Ha. Min-joon changes into his suit and dorky glasses, and Noo-ri creates a fake passport for Min-joon’s doctor persona. When the passport easily gets Min-joon through company security, he says that he and Noo-ri should start a fake passport business, but Noo-ri says he’ll only do it if he gets 100% of the profit. Min-joon, confused, wonders why he’d even be a part of the business then, and Ha-ri and Sung-joon reveal that Noo-ri means he wouldn’t work with Min-joon (and they quip that “Dr. Kim” isn’t that bright). Min-joon responds by going over a speed bump too fast, and Ha-ri, who is apparently hiding in the trunk, yelps from the impact. Ha. Min-joon arrives at his quarters in the company building and changes clothes before leaving, though he leaves Ha-ri in the room to set up her camera so that she can capture photos of the research lab from Min-joon’s window. We flash back to Ha-ri and Kang-woo chatting prior to setting the plan in motion, and Kang-woo affirms that he must find out how this case is tied to Ms. Lee. In the research lab, Min-joon introduces himself to Han Seong-jin, who questions Min-joon in German to confirm Min-joon’s made-up background. Fortunately, Min-joon is fluent in German, and his response seems satisfactory enough to avoid suspicion. Meanwhile, airline executive Hyun-gi glances through an old Taeyang insurance policy as he shares a meal with Taeyang’s Chairman Cha, and he growls about having to bother with such trivial matters. Hyun-gi gives a menacing glare as he hears it, but he takes the browbeating in stride and hostilely reminds Chairman Cha that Hyun-gi will soon take over JH Group. But Chairman Cha doesn’t relent, and kicks Hyun-gi out so he can eat his dinner in peace. Hyun-gi stumbles upon Chairman Cha’s daughter Hong-joo as he leaves, and he interrupts her squash game to command her to follow him. When Hong-joo leaves the facility, Hyun-gi pulls up and tells her to get into his car. She ignores him and walks away, but his driver keeps pace as Hyun-gi rants about Chairman Cha. She finally gives in and follows him into the car. Once inside, Hyun-gi lectures her for playing around with other guys, but Hong-joo is quickly distracted when she sees the insurance policy Hyun-gi was reading during dinner, and notices that it belongs to Kang Eun-joo. Hyun-gi takes Hong-joo to a street vendor for a drink, and while they discuss their relationship, Hyun-gi insists that he is only pretending to like Hong-joo. 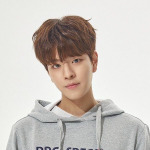 Afterward, Hyun-gi is completely plastered, so Hong-joo sends him back home with his driver and uses the opportunity to swipe the insurance policy from the car unnoticed. Back in Min-joon’s new quarters, Ha-ri digs through Min-joon’s possessions and snaps photos of them for Mad Dog, including a Juhan Airlines pen that sparks curiosity about Min-joon’s real motive. Kang-woo, in his own place, looks over his materials on the plane crash again, but a phone call interrupts him. He doesn’t recognize the number, and when he silently picks up, whoever is on the other end hangs up immediately. At the Taeyang office, Chairman Cha meets with a Juhan Airlines official, and they vaguely discuss plans to secretly transfer money for something before Hong-joo interrupts, and the official hastily leaves. Hong-joo confronts her father about handing over the Kang Eun-joo file to Hyun-gi, but he replies that she is the one who gave out the file. After all, she leaked the same file to Kang-woo. Chairman Cha tells her to take a closer look at the file to see exactly what she just leaked. In her office, Hong-joo looks up the file again, and she quivers when she notices that Ms. Lee issued the policy. Meanwhile, Min-joon spies on Han Seong-jin, who holes himself in his office late into the night. Min-joon decides to call it a day, and returns to find Ha-ri still at her post snapping photos. 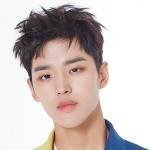 He offers to take Ha-ri’s place so she can rest, but she rebuffs him and tells him that they’re not on the same team, and she doesn’t trust people like him who use people for their own goals. Min-joon reasons that she must have been conned by a man previously and teases her about it playfully. Annoyed, Ha-ri pushes Min-joon up against a wall and threatens to uncover whatever he is hiding and expose it. Min-joon, though, just chuckles and leans in closer to whisper that he looks forward to her doing so. In the shower, Min-joon checks his phone, and it turns out that he was secretly recording Ha-ri all day with his own hidden camera. He sighs that there’s nothing too revealing in his possessions anyway, so her prying is all for naught. Meanwhile, Kang-woo checks out Kang Eun-joo’s home for more clues, but only discovers a newly opened parcel containing a baby blanket. 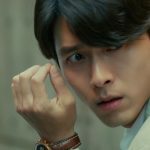 Elsewhere, Noo-ri digs through Kang Eun-joo’s phone records and finds several calls from public phones, which puzzles him. At the lab, Min-joon flirts with the female lab workers to get more information on Han Seong-jin. At the same time, Taeyang’s Manager Park meets with Han Seong-jin to see if he noticed any of the Mad Dog crew sniffing around him recently. Han Seong-jin thinks he recognizes Sung-joon from somewhere, but he can’t quite place it. Manager Park assures him that they will come after him and warns him to be vigilant about suspicious situations. Just then, Sung-joon covertly drives by their meeting on a floor buffer, and quickly informs the rest of Mad Dog about it. They worry that Han Seong-jin found out about them, so they forge a plan to take the laptop the next day by clearing the researchers out of the room using a lab rat. Min-joon, back in his room, offers to let Ha-ri sleep on the bed tonight (which she mistakes for him wanting her to share the bed with him). Even after he clarifies his intentions, Ha-ri still refuses. Taken aback, Ha-ri coldly turns him down, but Min-joon just laughs to himself and says that he was tricking her into feeling bad for him, and snickers that she even believed him. As soon as he turns away from her, though, the smile fades, and I suspect there might be some truth to his story. Elsewhere, Hong-joo heads to the parking garage and spots Hyun-gi’s car blocking her in. When the driver gets out to greet her, she sees his face covered in bruises. Hyun-gi casually leans out the window to take credit for the beating, which he gave because the driver lost Kang Eun-joo’s insurance file. Hyun-gi is here to ask Hong-joo if she is the one who stole the file, and she readily admits it. Hyun-gi warns her not to touch his belongings again. 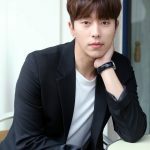 Hong-joo heads straight to the Mad Dog headquarters and sits down with Kang-woo as Noo-ri and Sung-joon spy on them through their monitor, but Kang-woo knows what they’re up to and tells them to shut it off. Kang-woo guesses that Hong-joo must know now that Ms. Lee was the broker on Kang Eun-joo’s policy, and tries to assure her that it’s not a big deal. But Hong-joo reveals that she is worried that Kang-woo will go right back to investigating the plane crash, and she doesn’t want that to consume his life again. 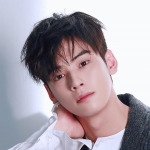 Afterward, Noo-ri and Sung-joon cover Kang-woo with a blanket as he feigns sleep, and he immediately questions whether they heard his conversation with Hong-joo, even though he told them to turn off the monitor. They admit that they were listening since Kang-woo didn’t tell them to turn off the sound as well, which elicits an amused grin from Kang-woo. Ha. The next day, Mad Dog prepares to set their plan in motion, and they wait for Han Seong-jin to vacate the premises so they can begin. Once Han Seong-jin leaves the lab, Sung-joon delivers the concealed lab rat to Min-joon, and he brings it into the lab and releases it. Almost immediately, the lab is in complete chaos, and the researchers flee in fear of the rodent. They run right past Sung-joon and Ha-ri, now disguised in full hazmat suits as they enter the now empty lab. Ha-ri climbs into the vents to make her way into Han Seong-jin’s locked office while Sung-joon searches for the escaped rat. Meanwhile, Han Seong-jin receives word about the rat getting loose in the lab and recalls Manager Park’s warning about strange situations, so he bolts back toward the office to investigate. While Ha-ri waits for the computer’s hard drive to copy, she searches through the rest of the office and uncovers a hidden textbook behind an award on the bookshelf. She finds a hard drive concealed within the book, and Noo-ri surmises that it must be from Lee Soo-oh’s stolen laptop. Min-joon clocks Han Seong-jin returning to the building, and realizes that he will need to stall for time so the rest of the team can get out with everything they need. Min-joon hurries to catch Han Seong-jin in the hall, and the doctor stops in his tracks when Min-joon mentions Lee Soo-oh’s name. Min-joon explains that someone from Mad Dog came to the lab inquiring about the name, and Min-joon flashes Ha-ri’s business card to sell his story. His story is convincing enough for Han Seong-jin, but the team still needs more time, so Min-joon distracts him with a new lie that Manager Park also stopped by to ask about Han Seong-jin’s research, and he pulls out Manager Park’s business card to verify. Min-joon’s distractions buy enough time for Ha-ri and Sung-joon to escape, and he too exits the scene, but Han Seong-jin notices something is off, so he secretly films Min-joon’s retreat. Back in the Mad Dog office, Noo-ri discovers the matching research data on each hard drive. He also finds an additional locked file, but when he tries to open it, a virus infects their computer, forcing them to shut everything down. The team heads to their go-to restaurant so Noo-ri can fix everything remotely, and Kang-woo invites Min-joon to join them for dinner. He compliments Min-joon’s work in pulling off the heist. But Min-joon responds by recreating Kang-woo’s stated goal of locking Min-joon in so that they can observe him, and the rest of the table eyes him suspiciously for somehow hearing that. Sung-joon looks ready to pummel Min-joon for his evasiveness, but just then, Noo-ri cracks the locked file. Inside is a record of the amount of sunshine per day for the entire year. The team struggles to figure out what the purpose of the file is, but Min-joon thinks back to what the witnesses said about the day Lee Soo-oh died, and realizes it was excessively sunny that day. Kang-woo puts the puzzle together when he realizes the award that hid the book in Han Seong-jin’s office was too old to belong to the researcher’s child. They find the exact trophy in a nearby trophy store. Kang-woo uses the trophy to redirect the sunlight in a more concentrated area, which he surmises is how the fire started in the first place. Min-joon spots a similarly shaped, much larger, reflective surface on the building near the fire site, and it concentrates the sunlight right on the spot where Lee Soo-oh’s parked car sat. They visualize how Han Seong-jin orchestrated the scene, placing the unconscious victim in the car and setting the lighter up so that it would explode in a flash that ensured that Lee Soo-oh couldn’t escape due to his seizure condition. Min-joon cheerily notes that their discovery of the murder method proves his point perfectly: The “what” is more important than the “why.” He offers another bet with Kang-woo as to who will find the “what” of Ms. Lee’s case first. Meanwhile, Han Seong-jin is arrested for the murder, but in prison, he calls in Manager Park to ask if he knows who Jonas Kim is. He sends Min-joon’s picture to Manager Park, who does remember Min-joon from somewhere, but he doesn’t remember the specifics. At the hospital, Kang Eun-joo wakes up, and Min-joon reveals that Han Seong-jin got caught for the murder. The news unleashes a flood of bittersweet tears from the woman, which Min-joon wipes away for her. Kang-woo investigates Kang Eun-joo’s house again and considers Min-joon’s advice, trying to understand his meaning. He registers the baby blanket he found earlier, and realizes it must be a gift from someone. 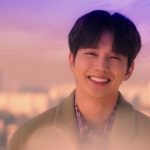 Kang-woo tracks down the store where the blanket was purchased, and the employee recognizes the product immediately since its expensiveness makes it a rare product to sell. Kang-woo pulls out a picture of Ms. Lee and asks if she is the person who bought it, and the employee instantly confirms it. Kang-woo can’t believe it and reels from shock. Back at the hospital, Kang Eun-joo finally reveals the truth: Ms. Lee is alive. This time it’s Min-joon’s turn to be overcome with disbelief. Meanwhile, Kang-woo checks the store’s CCTV footage to confirm what the employee said, and sure enough, a definitely alive Ms. Lee is on screen buying the blanket. Elsewhere, Hyun-gi watches the same footage on his phone and forwards it to Chairman Cha, who seems angry to learn that she was alive all along. Manager Park, returning from the prison, finally recognizes Min-joon as the younger brother of Kim Beom-joon, and they met several years ago when Min-joon came to claim the insurance payout. That’s where Min-joon got Manager Park’s business card for Min-joon’s distracting ruse on Han Seong-jin. In the hospital, Min-joon snaps in rage at Kang Eun-joo, demanding to know where Ms. Lee is now. She only musters a muffled sob before she hangs up, and a single tear falls down Kang-woo’s face to know that the insurance planner is still alive. The enigma that is Min-joon fascinates me more than anything else in this show. All we really know is that Min-joon is a smooth-talking trickster, but that surface-level analysis is about as far as our understanding of his character runs at the moment. There’s no real sense of why he created his conniving persona to begin with, nor why he specifically needs to involve Mad Dog to accomplish his goals, whatever they may be. He clearly suspects something is fishy about the plane crash, but we don’t have a great idea of what exactly that could be, or even how deep it might go. There are hints, certainly, that Chairman Cha and Hyun-gi are somehow involved in something dubious, but the “what” (as Min-joon would want us to look for) is currently unclear. I wonder if Min-joon really needs to force Kang-woo to jump through hoops to figure out what Min-joon is after. If, after all, Min-joon believes there’s a larger conspiracy at play in the crash of Flight 801, does he really think Kang-woo needs an extra push to motivate him into investigating more deeply? Kang-woo strikes me as someone who, if he had even the slightest inclination there was foul play involved, would be ruthlessly digging as much as he could to get to the bottom of it. So why does Min-joon bother with all the evasive riddles when simply opening up about his suspicions would not only lead to his desired result, but would also probably ease a lot of the tension the Mad Dog team feel toward him? Because, as we saw today, when Min-joon is actively working together with everyone else, they absolutely kill it. Their infiltration of the pharmaceutical company was practically flawless, and even when trouble did arise, Min-joon’s quick thinking ensured their success. Imagine how cohesive they could be if they actually trusted Min-joon! I think, though, that they’re gradually warming up to him. I’m not exactly sure if Kang-woo is actually starting to trust him, or if he’s just pretending so he can see how Min-joon responds (and I wouldn’t put it past this show to do that), but I’m taking his willingness to let Min-joon improvise during their operation and later invite him to join the team for dinner as a positive step. But it does all come down to trust in the end, and Min-joon is a hard man to trust. Even when he shows vulnerability, like he did when he talked about sleeping on the floor in a variety of less-than-desirable locations, he can just as easily turn around and claim that he was making it all up for sympathy. Was he actually revealing something about his past? I don’t know! And that’s precisely the problem he created for himself by constructing this persona. It’s impossible to trust his words because everyone knows he’ll lie about anything and everything. However, there are more pressing questions now that we know Ms. Lee didn’t actually commit suicide, and I suspect Kang-woo will put aside his goal of figuring out Min-joon while he dives back into Ms. Lee’s transgressions. We never really saw Kang-woo obsess over the Flight 801 investigation, though Hong-joo certainly implies that he let it consume him, so now that a seemingly major player suddenly resurfaces, it’ll be interesting to see how far he’ll go to uncover the truth. I suspect, though, that whatever he finds is only going to be the tip of the iceberg, and there’s something much darker lurking beneath the surface.